A chunk of Canada is moving to California. Literally. 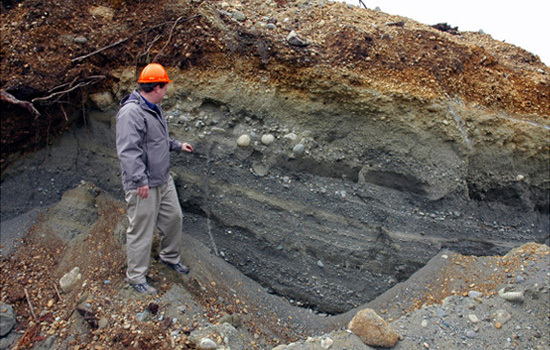 Next month Vancouver-based Polaris Mineral Corp., in partnership with the 'Namgis and Kwakiutl First Nations, will begin mining sand and gravel deposits from the Orca Quarry on Vancouver Island. Once extracted, they will then be transported via conveyor belts to waiting Panamax ships. Interestingly, parts of the conveyance system are submerged, supposedly, so as not to pollute the pristine view for passing hikers, kayakers, and mountain bikers. Initially, most of what's mined there will be sent to the San Francisco area where “overall demand for construction aggregate is driven primarily by population growth and the resulting need for infrastructure expansion and maintenance.” Afterwards, who knows. Maybe soon all the new houses in the continental U.S. will be built entirely of imported Canadian soil. Or perhaps in the decades to come a freer global trade in islands and mountains will result in skyscrapers constructed entirely out of the Himalayas or interstate highways built from Pacific archipelagos, ingeniously self-erased before the impending sea-level rise had the chance to do so. While you're at that site, you'll probably also like this.